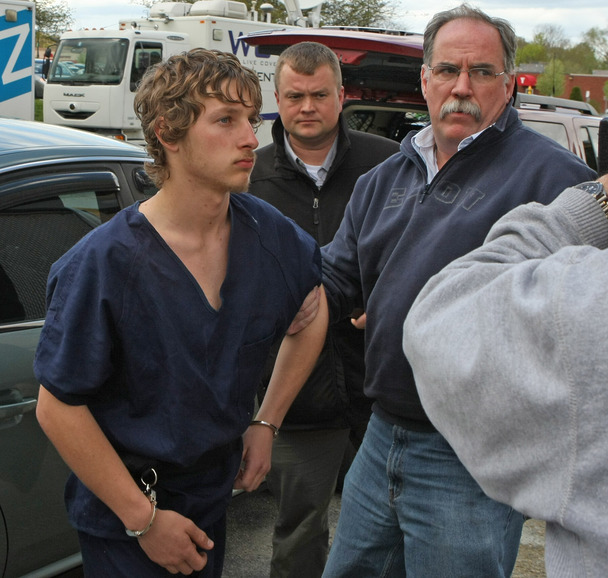 Matthew Worster, 17, of Easton, Massachusetts, was arraigned today on Murder Charges for allegedly killing his own mother and then burying her in their backyard. He was arraigned this morning in Taunton District Court the charge of Armed Assault with Intent to Murder. According to the Bristol County District Attorney’s Office, Matthew Worster allegedly killed his mother, Beth Spartichino, because he was angry over his parents divorce. He allegedly told his younger brother that he shot their mother because ‘they would be better off”. Easton and Massachusetts State Police searched the backyard of the family’s Easton home and did recover the body of Beth Spartichino in a shallow grave in the backyard. The official cause of death is yet to be determined pending an autopsy, but officials did reveal that the body appeared to have a gunshot wound to the back. According to the District Attorney’s Office, Worster also called his father, Michael Worster, and left a voicemail suggesting he had done something to his mother. In the voicemail, Worster allegedly stated “I did what I had to do”. After listening to the voicemail, Michael Worster then called the Easton Police Department and reported that he feared his ex-wife was dead and that his son committed the murder. The divorce between Beth Spartichino and Michael Worster became final two weeks ago. At that time, Matthew Worster allegedly told his mother that they would all be better off if she were dead. Interestingly, Michael Worster also told the dispatcher that he believed that his ex-wife had been buried in a freshly dug hole in the garden. A year ago, however, Beth Spartichino had obtained a restraining order against her husband, Michael Worster, alleging that he made threats to kill her and bury her in the yard. It is anticipated that once the autopsy is finalized, that charges against Matthew Worster will be upgraded to First Degree Murder. Boston Criminal Lawyer Lefteris K. Travayiakis is available 24/7 for consultation on all Massachusetts Crimes of Violence, including Armed Assault to Commit Murder, Murder and Manslaughter.